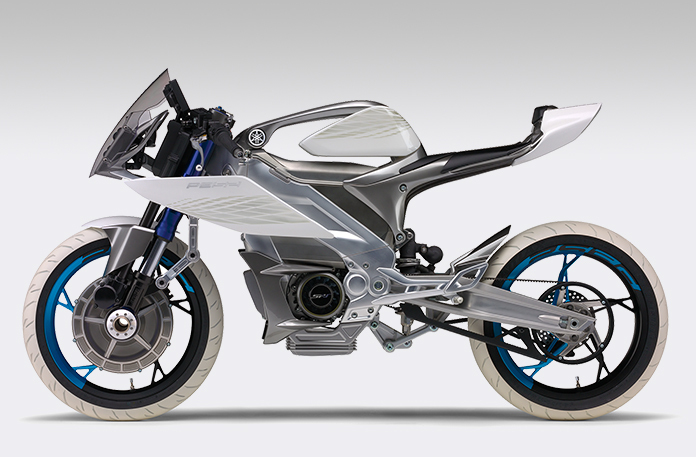 Concept Models - Yamaha Motor Design | Yamaha Motor Co., Ltd.
is what defines the next generation of Yamaha Monozukuri. and connect with you through our creations. to Yamaha’s garage of the future. 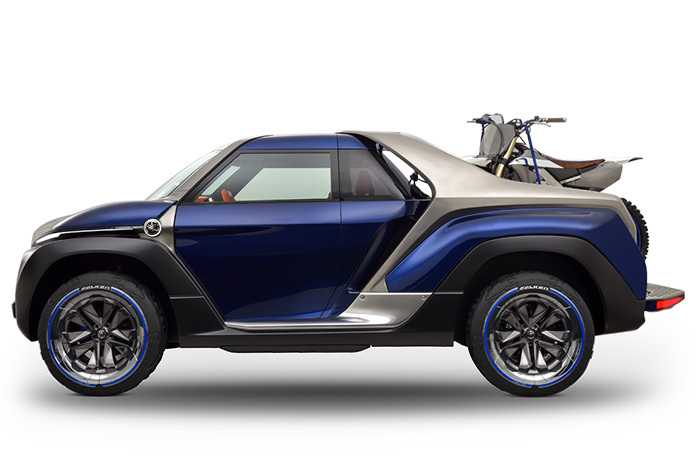 Introducing the CROSS HUB CONCEPT, a new “lifestyle car” to load up the fun and link the outdoors to the city. 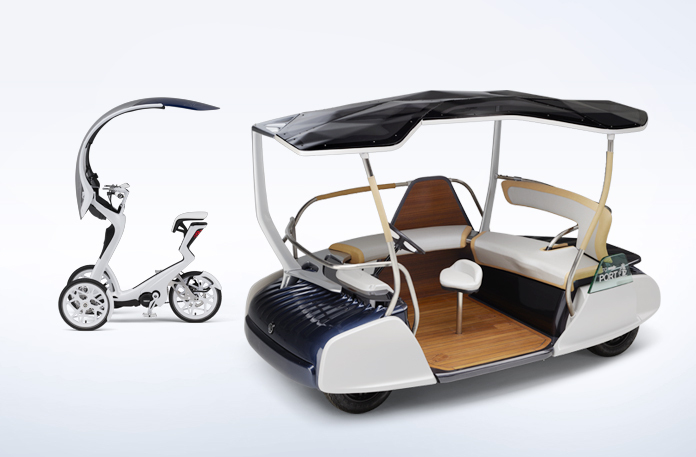 Introducing the TRITOWN, an electric vehicle to make last-mile personal mobility more fun. 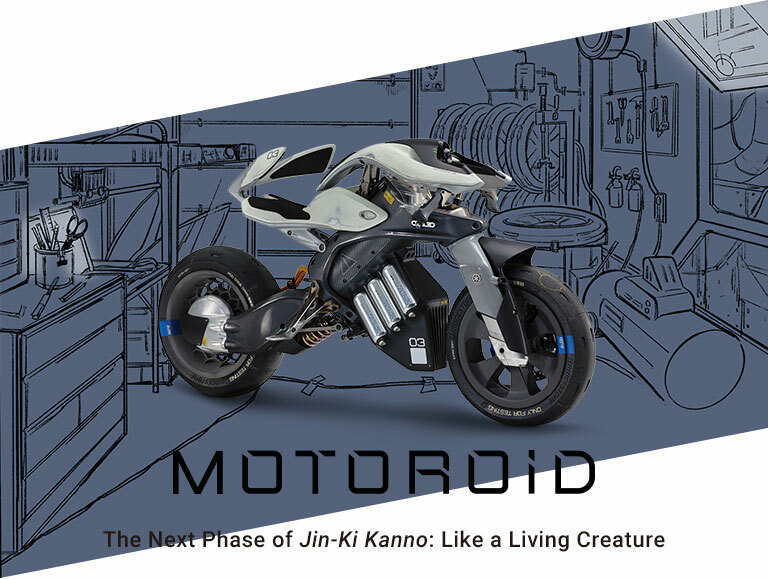 Introducing MOTOROiD, an autonomous motorcycle born in a new collaborative endeavor between designers and engineers. 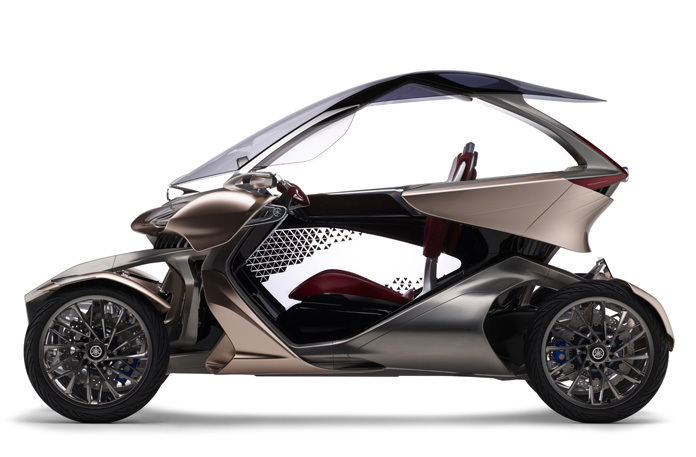 Introducing the MWC-4, a compact four-wheeled vehicle able to lean thanks to Yamaha’s LMW technology. A machine that resonates within you. A machine that resonates together with you. That is what Yamaha seeks to create. and brings the fun of riding to people in ways that can’t be predicted from just desktop numbers and data. like when the finest instrument in the hands of a virtuoso begins to create magnificent music. Machines that resonate and strike a vibrant chord in the hearts of each and every individual. Each radiates a uniqueness that rises together in harmony like an orchestra ― this is the moment when new Kando is born. Introducing design concept model of automobile exhibited at the Tokyo Motor Show 2015. "Sports Ride Concept". 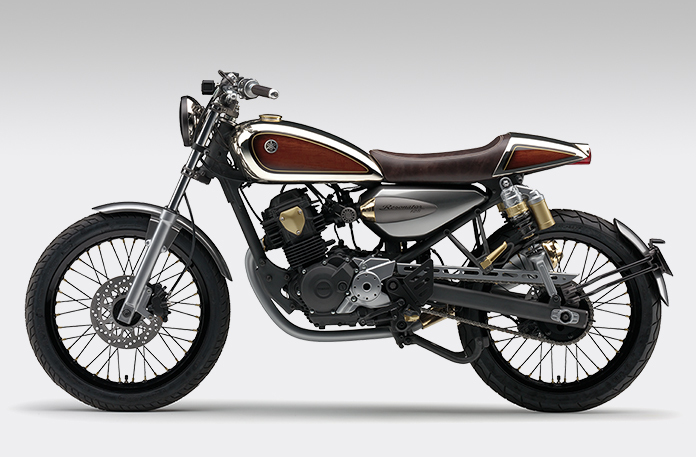 A 125cc road sports motorcycle crafted around the concept of melding the old and the new: the Resonator 125. 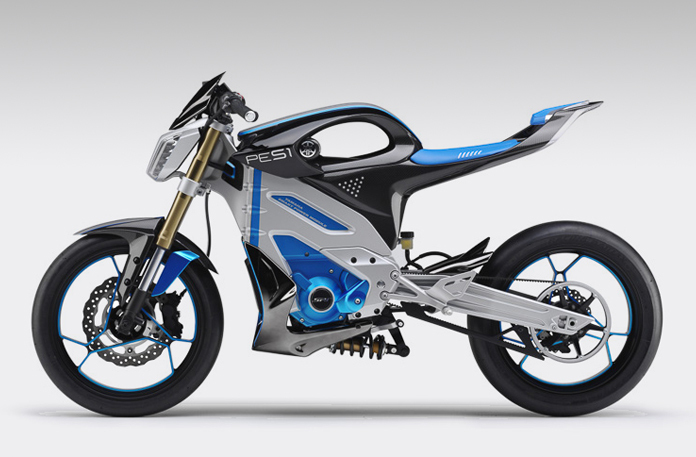 The PES2 delivers the excitement and speed of a high-performance sports motorcycle in a cutting-edge electric vehicle. The PED2, an electric mountain trail model developed around the theme of coexisting with nature. while exuding a sense of a creative existence in a space that draws one in subconsciously with an appeal to intellectual curiosity". the exhibition models, and technology. 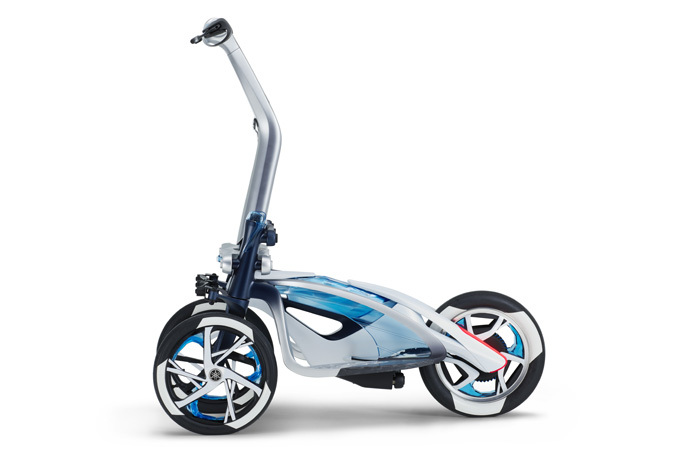 The PES1, a minimalist design created to offer the thrilling acceleration unique to electric vehicles. "Dual view" for 3 wheels. Two designers talk about TRICITY. 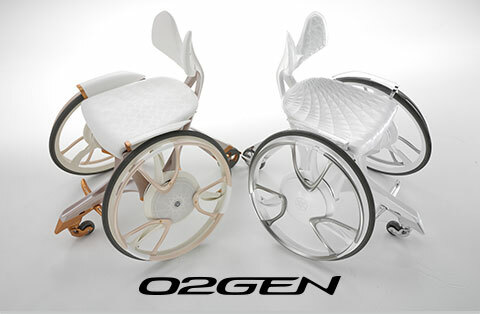 "GEN" concept models captivate and stimulate emotions by giving visual expression to new values with design that serves as a "Genesis" and continues to “Generate” ideas and creative directions. 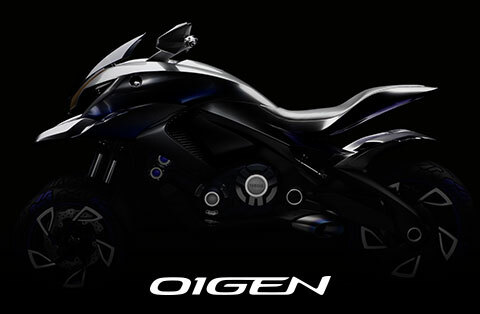 Introducing the 7th GEN concept model based on Yamaha Motor design philosophy. 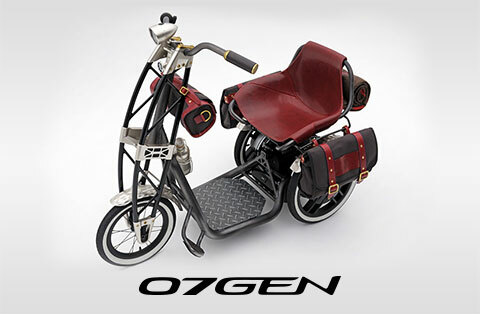 07GEN is an three wheel electric commuter that grows close to the heart of the user. 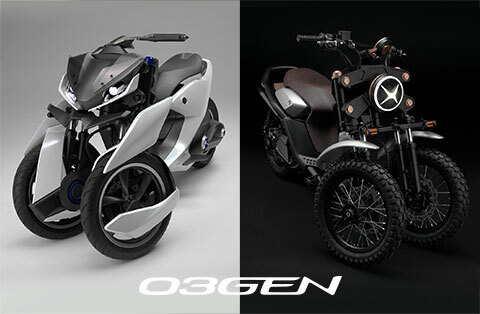 Yamaha Motor's 5th GEN and 6th GEN concept model based on its design philosophy. Introducing the mobility 05GEN and 06GEN that Creates Connections. 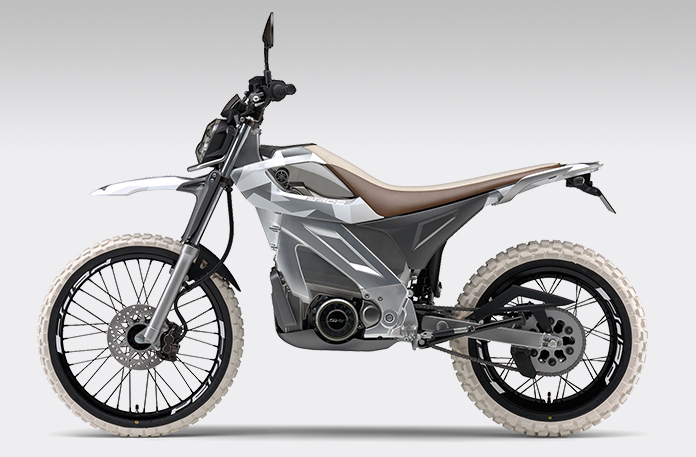 Yamaha Motor's forth GEN concept model based on its design philosophy. 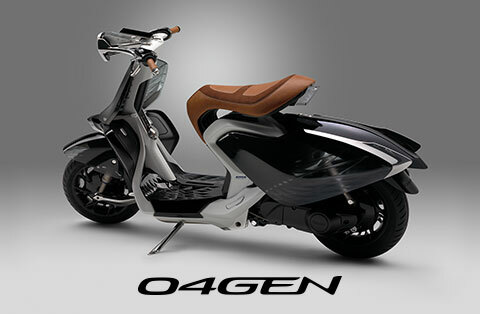 04GEN is a new scooter that was designed in the image of women with an air of dignified elegance in mind and body. 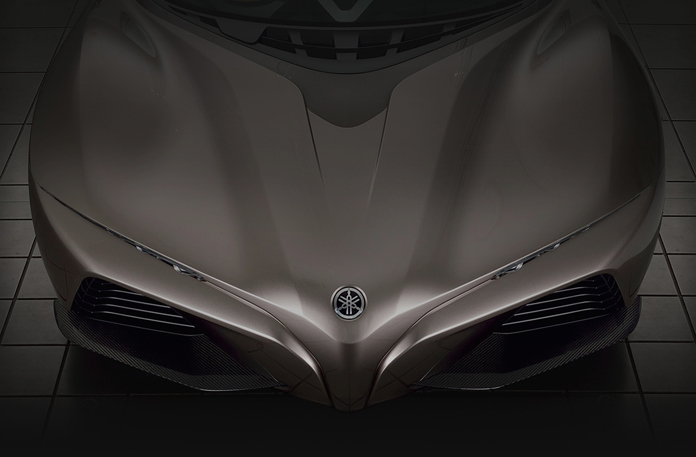 Introducing concept models based on the Yamaha Motor design philosophy of Refined Dynamism. Yamaha Corporation and Yamaha Motor Co., Ltd. join forces in the "&Y" project to create a "Auditory Movement Experience Device". Yamaha Corporation and Yamaha Motor Co., Ltd. join forces in the "&Y" project to create a "Wheelchair that performs music". Yamaha Corporation and Yamaha Motor Co., Ltd. to Present Joint Exhibit at Design Event in France "project AH A MAY".